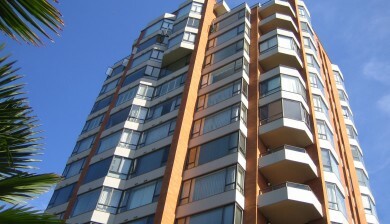 Urbaneye offers restoration solutions to property management firms, engineering firms, contracting companies and building owners in the Metro-Vancouver area. Take a look at our portfolio for a selection of projects we’ve completed. Learn more about Urbaneye Restorations. 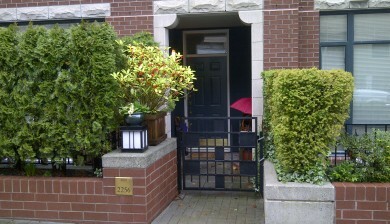 Our firm reviewed the work of Urbaneye Restorations Ltd. on a recent project where we provided consulting services. We have found Urbaneye Restorations Ltd. to be a responsive contractor committed to delivering quality service. Urbaneye Restorations carried out a comprehensive cleaning, repainting and re-caulking project on our 81-unit residential building. In all of their work on site we have found Alan and his team to be knowledgeable, professional and prompt in responding to our questions. The quality of the work they have done has been excellent, and owners have approached me to say that they appreciate the consistently friendly and courteous attitude of Alan and his employees. I would have no hesitation in hiring Urbaneye Restorations again in the future and I will certainly recommend Alan and his team to other stratas considering envelope maintenance work. Alan and his workers made repairs to the concrete, replaced caulking, power-washed, and painted the exterior of our nine-storey building. I and the other owners are very pleased with the job they’ve done and have no complaints whatsoever. It looks great! 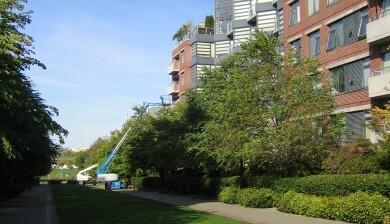 Throughout the course of work, they were careful to protect plants, railings, and decks, as well as cover the walkways below. They were always safe, friendly and respectful, and did work of the highest quality. Alan made himself easily reachable and kept everyone informed at all times about progress on the building, and his accommodation of individual needs was very appreciated. That his workers seemed to be happy and hard-working speaks clearly to his abilities as a leader. In summary, I can’t imagine a better job being done and I would recommend them highly to any future potential customers. 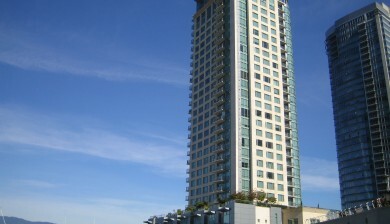 Vancouver Building Restorations, Concrete Solutions, Painting, Caulking, Cleaning & Access.